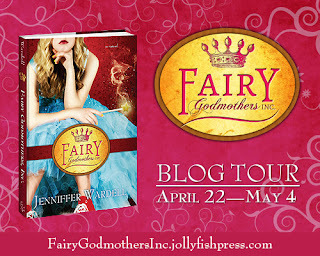 Fairy Godmothers, Inc. by award-winning journalist Jenniffer Wardell is a hilarious ride into the land of fairytale re-imaginings and was released in both print and eBook on April 27, 2013 from Jolly Fish Press. This story is so well written and fun! From the first sentence onward the writing style simply flows as you read, adding just the right amount of detail to create a believable world of magic and social hierarchy. Allusions to a slew of fairytales make their way into the narrative alongside a sweet tale of romance. This is a great read for teens and would be perfect for mothers and daughters to read and laugh about giddily together. In a world where fairy tale situations are as much a fact of life as death and taxes, everyone knows hiring Fairy Godmothers, Inc. is the best way to assure that your beautiful daughter, or enchanted frog of a grandson, will get the happily-ever-after he or she deserves. Sure, sometimes a little love potion is required to guarantee those quotas stay up, but what Prince Charming doesn't know won't hurt him. 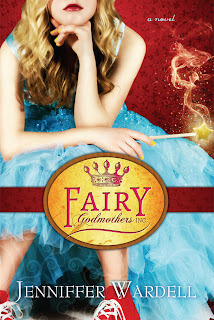 Kate, an experienced Fairy Godmother who's enough of a romantic to frustrate her rigidly rule-bound boss, has just received a specialty assignment from one of the company's board of directors. Cinderella—Rellie for short—was placed with an appropriately wicked stepfamily years before, and now needs the dress, ball, and handsome prince to complete her happily-ever-after. The fact that Rellie isn't sure this is her dream come true—balls are fun, but princes tend to be less interesting than fluffy bunnies—isn't something management considers a problem. This looks like my kind of book! Thanks for bringing it to my attention! I've haven't heard of this one yet. Another great title from Provo-based Jolly Fish Press! They've got some great youth titles, already released and coming up. It's a good, fun & light read!